W. W. Norton & Company, 9780393254730, 288pp. Soon after publication on September 30, 1868, Little Women became an enormous bestseller and one of America's favorite novels. Its popularity quickly spread throughout the world, and the book has become an international classic. When Anne Boyd Rioux read the novel in her twenties, she had a powerful reaction to the story. Through teaching the book, she has seen the same effect on many others. Alcott's novel has moved generations of women, many of them writers: Simone de Beauvoir, J. K. Rowling, bell hooks, Cynthia Ozick, Jane Smiley, Margo Jefferson, and Ursula K. Le Guin were inspired by Little Women, particularly its portrait of the iconoclastic young writer, Jo. 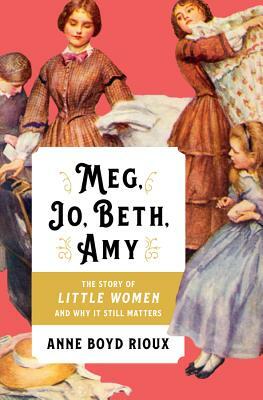 Many have felt, as Anna Quindlen has declared, "Little Women changed my life." Today, Rioux sees the novel's beating heart in Alcott's portrayal of family resilience and her honest look at the struggles of girls growing into women. In gauging its current status, Rioux shows why Little Women remains a book with such power that people carry its characters and spirit throughout their lives.